CIRTL AGEP is an NSF funded collaboration of 10 universities. Our overall goal is to improve the climate in graduate education to increase the number of under-represented (UR) graduate students and postdocs interested in and prepared for faculty careers. We will also disseminate our tested practices across the CIRTL universities that produce 30% of the nation’s STEM PhDs. By doing these two things, we will contribute to AGEP’s goals of a more diverse STEM faculty. 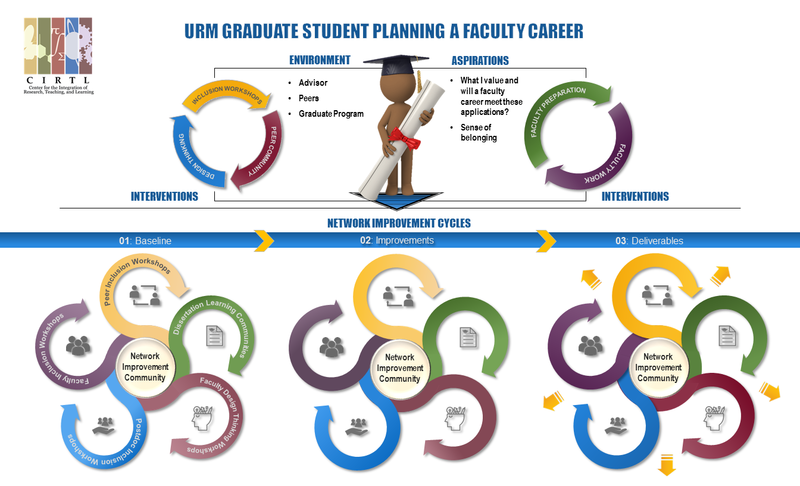 We are building a “Networked Improvement Community” (NIC) focused on improving dissertator experiences with the goal of creating a more inclusive environment for graduate students and postdocs. In an environment that is welcoming and where differences are valued, graduate students can do their best work and use their different perspectives to help solve today’s largest challenges. Our hypothesis is that if we improve the climate in graduate education we will increase the number of UR graduate students and postdocs interested in and prepared for faculty careers.